Ukraine Crisis Media Center became a partner of the most large-scale event in Ukraine in recent years – the Conference “Ukraine: Thinking Together”. On May 15-19, 2014, the event will bring together twenty-five leading figures from the worlds of art, literature, and scholarship from all around the world for a series of public discussions with Ukrainian colleagues about the meaning of Ukrainian pluralism for the future of Europe, Russia, and the world. The Conference will start today at 5 pm with a public lecture by Timothy Snyder “Not Even Past: Ukrainian Histories, Russian Politics, European Futures” at NaUKMA Culture and Arts Center. Live broadcast will be available on Hromadske.tv. 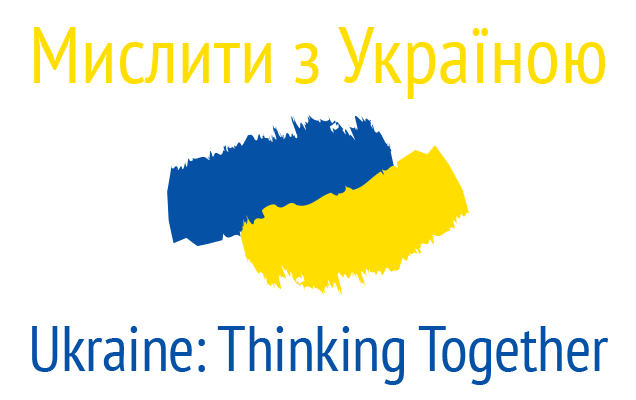 Tomorrow, on May 16, 2014, at 12 pm, Ukraine Crisis Media Center will host an opening press briefing on the conference “Ukraine: Thinking Together”. Speakers of the event: Timothy Snyder, professor at Yale University, Leon Wieseltier of The New Republic, and Jerzy Pomianowski, Executive Director of the European Endowment for Democracy. Live broadcast on the Center website. From Saturday to Monday on May 17-19, 2014, a series of public discussions of international and Ukrainian thinkers will be held at the Diplomatic Academy. Broadcast on the space for independent thought Krytyka. There has never been a gathering in modern Ukraine with this kind of ambition – please find its detailed agenda and register via the link. The registration for media will be closed today, May 15, EOD. Media can register at the link.